So really, it was only a matter of time before these became cupcakes! Preheat the oven to 350 degrees F and line muffin tins with liners. Prepare the chocolate and peanut butter cakes in separate bowls. Alternate placing 2 tablespoons of each batter into each muffin cup. After the cups are all filled, swirl the batter gently with a butter knife to create a marble pattern. Bake in the preheated oven for 18-22 minutes or until a toothpick inserted in the center of a cupcakes comes out clean. Remove the cupcakes from the tins and cool completely. 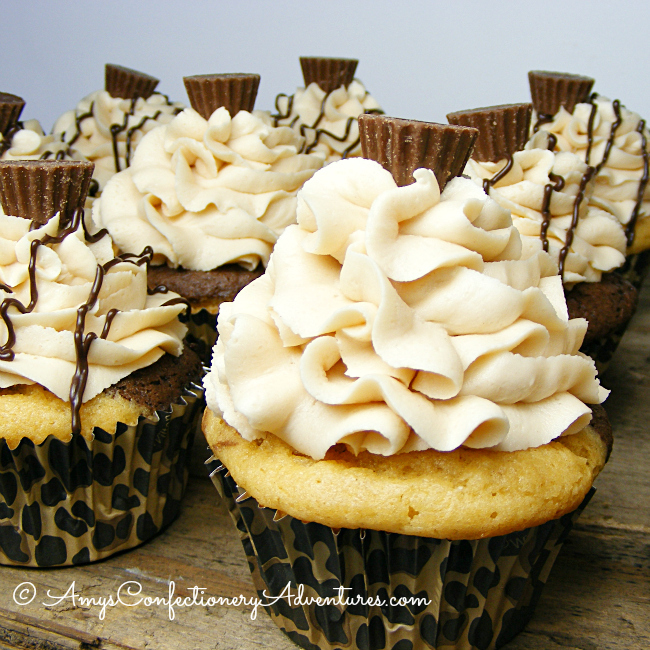 To frost, use a 2D (large closed star) tip to pipe Peanut Butter Buttercream onto each cupcake. Drizzle melted chocolate over the top, if desired. 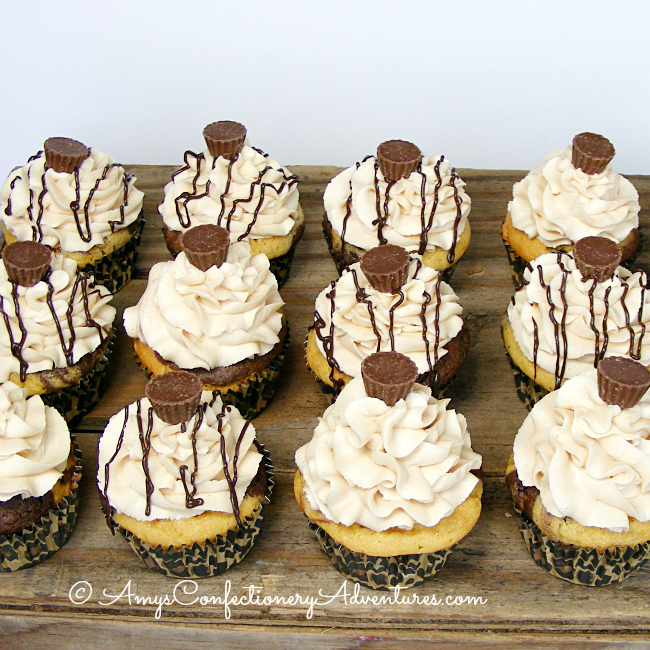 Top each cupcake with a mini peanut butter cup. PB cups are my favorite and ahhhh I'm in love with the cupcakes!!! Oh my goodness, these are my kinda cupcakes! I love peanut butter cups soooo much! I shouldn't be looking at these before lunch haha. 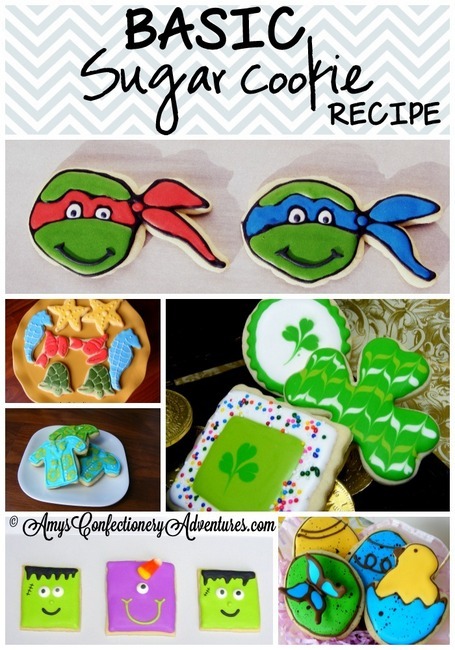 These look soooo yummy! Pinned it! Thanks for sharing at from Dream to Reality! I love peanut butter cups. Chocolate and peanut butter is actually my favorite combination. I actually can't imagine the world without. 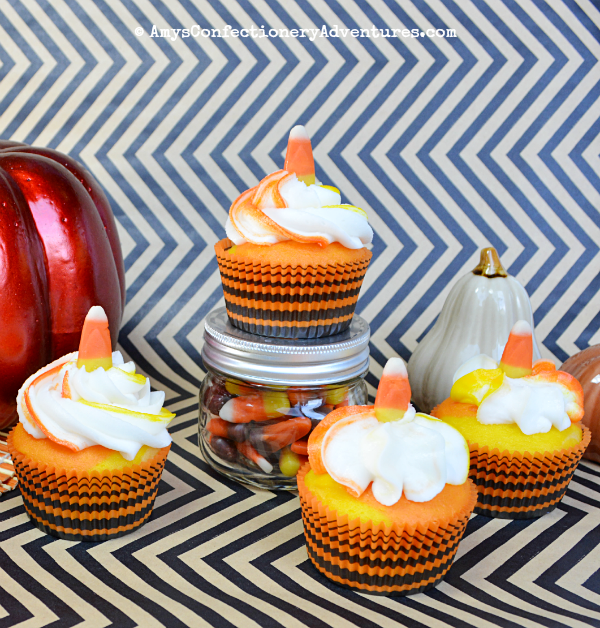 These look delicious and I am pretty sure I know what I will be making around Halloween time this year! My hubby would marry me all over again if I made him a batch of these! These look amazing!! I love chocolate peanut butter. Stopping by from the Will Cook For Smiles party!! Pinning! 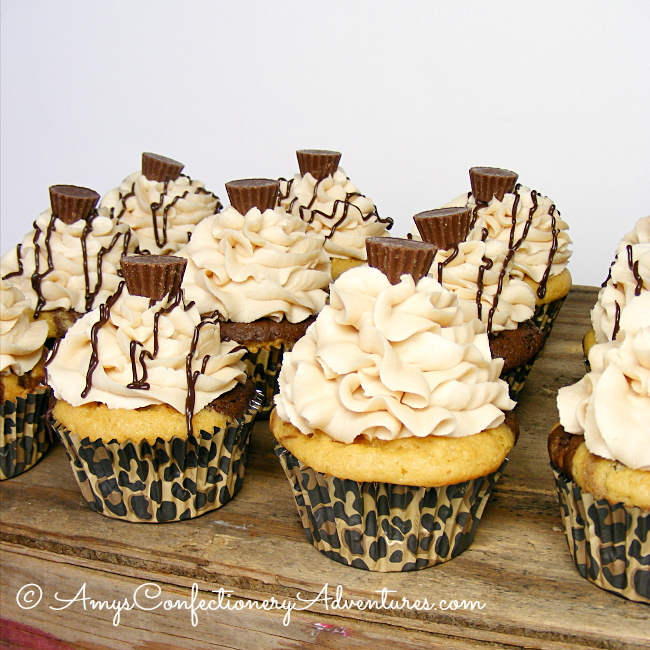 My hubs love Peanut butter cups, I think I will treat him to these once he is done with my honey do list...lol...I think your cupcakes are among the best incentives ever...other than bacon! lol..Thank You for sharing, I found your recipe at WCFS party and came over to check it out.